Hmmm.. Where do we even begin…! In a large microwave-safe bowl, melt chocolate, butter and brown sugar in a microwave for 1-2 minute, stirring every 30 seconds. The mixture should be lump-free and glossy. Set aside and let cool for about 10 minutes. 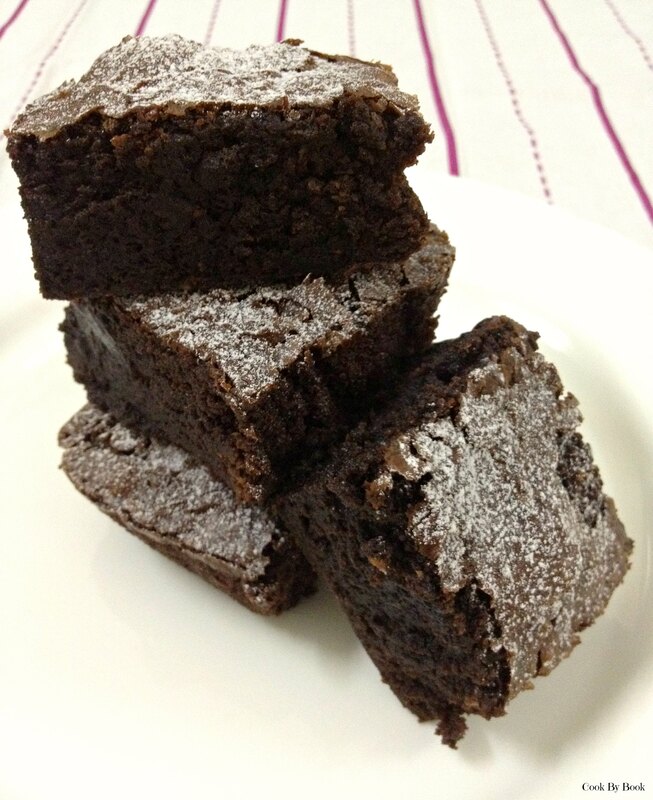 Once chocolate mixture is cooled down, stir white sugar, eggs, vanilla extract and rum into it. 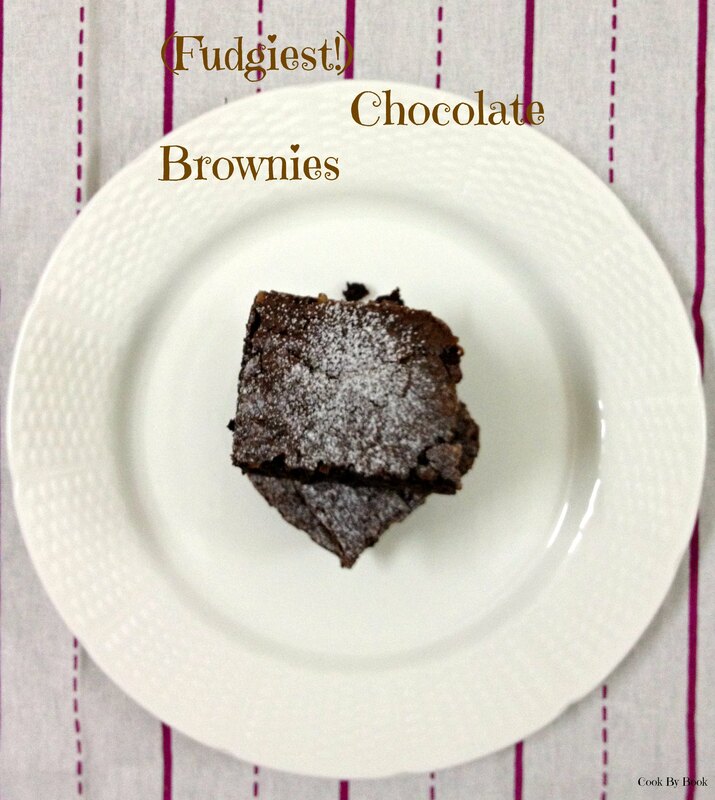 Lift up the ends of parchment or foil liner, transfer the brownies to cutting board and cut into 9 or 12 squares. Store it in an air-tight container for 3-4 days at room temperature or refrigerate for a week. *Feel free to add nuts, raisins or chocolate chips if you like. 1/2 cup should be a good amount. These bars are heavenly for texture-lovers! 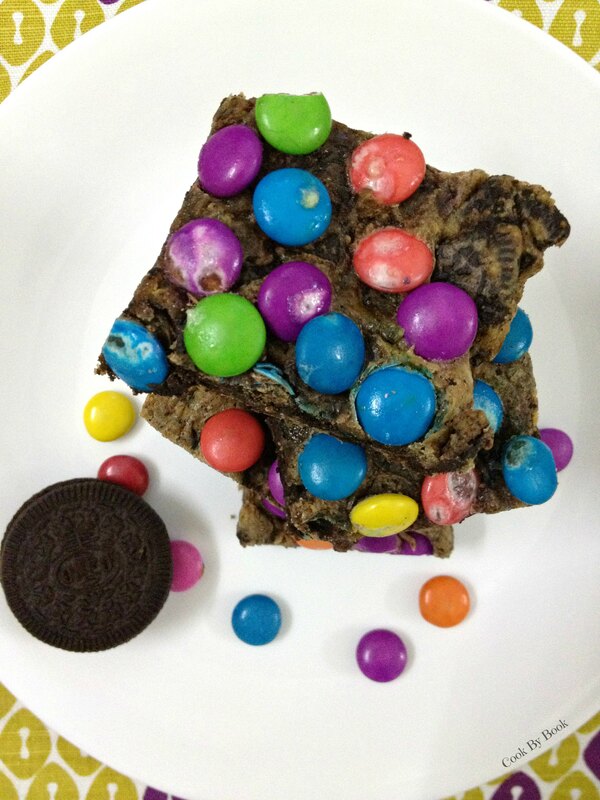 Every bite is filled with crunchy chopped Oreos and M&M’s contrasted with soft, buttery, moist dough. They are dense, thick and biteful. 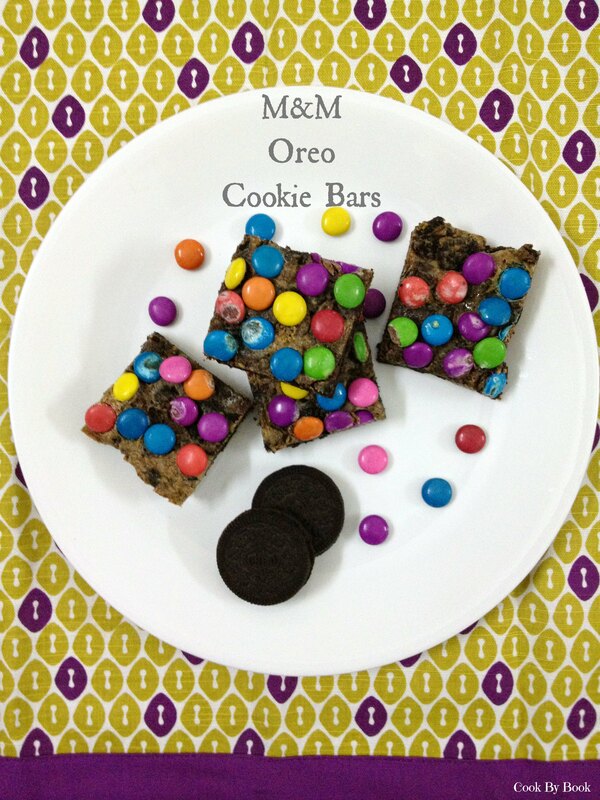 I have used dark brown sugar in the recipe which gives a beautiful caramel-ish flavor mixed with chocolate Oreos. These bars come together in 1-bowl, just under 5-minutes, and without using mixer! These are ready under half an hour. 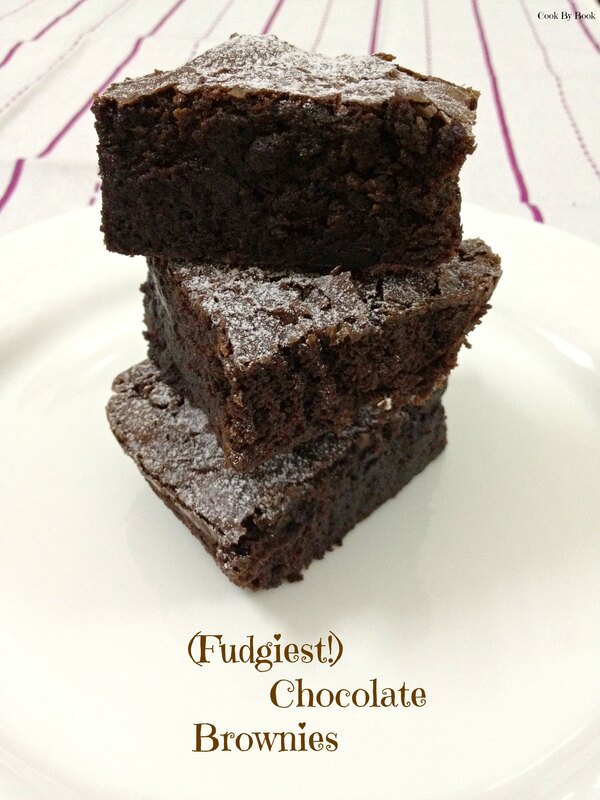 Perfect to satisfy those sudden sugar-cravings! It is so quick, easy and of course, no dough chilling required. Preheat oven to 180ºC/350ºF. Line an 8×8-inch baking pan with aluminium foil, grease with oil or spray with cooking spray. Set aside. In a large, microwave safe bowl, add butter and place in microwave for 1-minute on high power. Wait a minute before adding the egg so that it does not scramble. Add the egg, sugar, vanilla and whisk until smooth. Add the flour, Graham cracker crumbs and salt. Stir until just combined. Do not over-mix. Stir in the Oreo chunks. 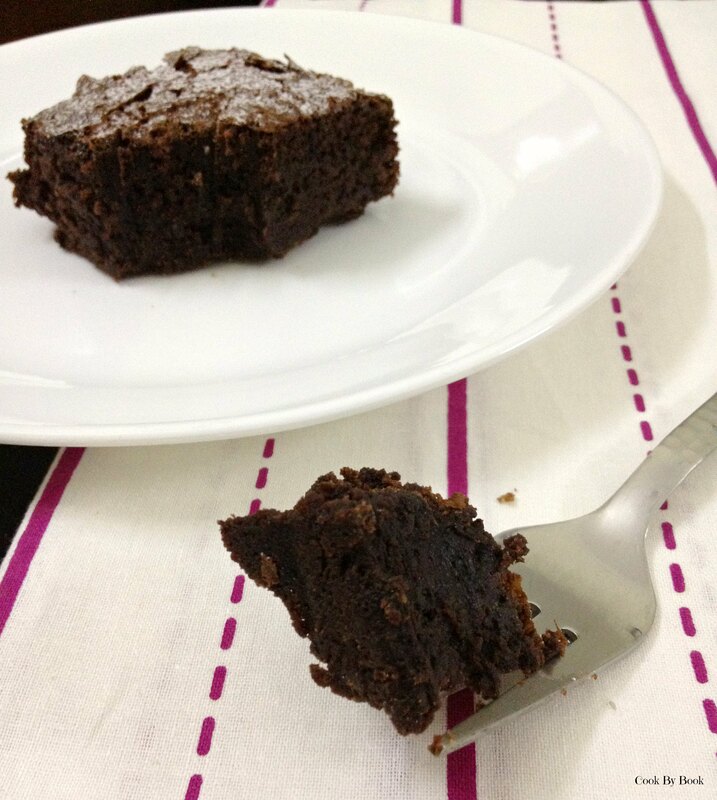 Turn the thick batter out into prepared baking pan, smoothing the top lightly with a spatula or back of the spoon. 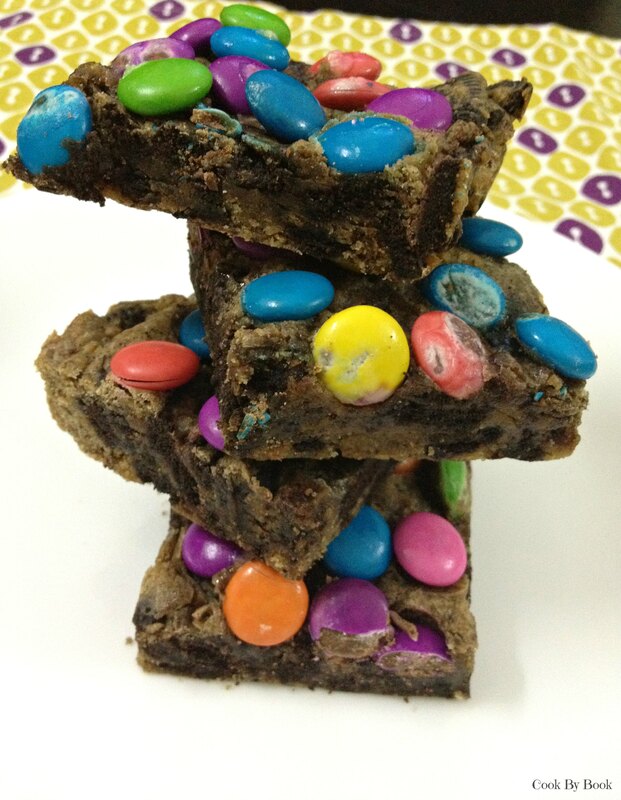 Evenly sprinkle the M&M’s over the top, lightly pressing them down with your finger, a spatula or back of the spoon. Bake for about 20 to 22 minutes, or until toothpick inserted in the center comes out clean, or with a few moist crumbs. Allow to cool in pan for at least 30 minutes before slicing and serving. Bars will keep for up to 1 week at room temperature stored in an airtight container, or in the freezer for up to 6 months.